We believe that everyone has a right to be heard and listened to. This is why we offer a low cost counselling service to those who are in financial difficulty or unwaged. Our counsellors who offer low cost counselling are fully qualified and working towards accreditation with various accrediting bodies. We are also ethically bound by confidentiality - what is discussed between you and the Counsellor remains confidential - unless you or others including minors are considered to be at risk. Our Counsellors abide by the ethos and guidelines of the National Association for Pastoral Counselling & Psychotherapy (N.A.P.C.P.). We adhere to the Children First National Guidelines for the Protection and Welfare of Children. Mary graduated with a BA in Counselling and Psychotherapy from ICHAS, Limerick. Mary holds a Certificate in Addiction studies from N.U.I Maynooth and has completed full training in Psychometric Occupational and Personality Assessment. She attends regular supervision as part of her ethical commitment to her work and is professionally accredited by NAPCP. Mary's training and theoretical background is in Humanistic Psychotherapy incorporating Psychodynamic, Person-Centred, Cognitive Behavioural (CBT) approaches in her work. Mary believes that Counselling and Psychotherapy assist clients in exploring difficulties that may arise in their lives and that the safe supportive non-judgmental setting that counselling provides enables the client to become the expert in their own lives. Mary also believes that counselling should be available to all those who need it. 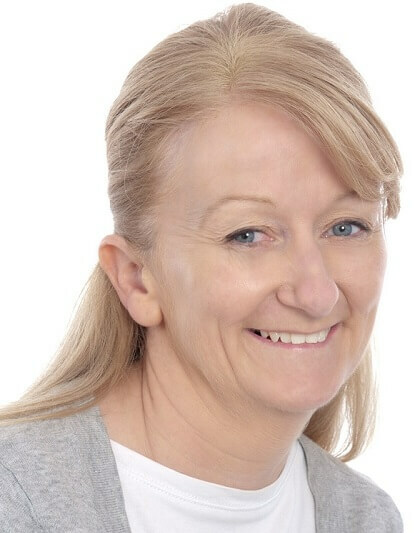 Mary works with each client in an individual way by tailoring the therapy to suit each client’s individual needs. Mary has worked with clients with many issues such as anxiety, gender, depression, panic attacks, lack of confidence and self-esteem, relationship difficulties, bereavement and loss, and stress.